Who should lose weight? Health experts generally agree that adults who are overweight and have weight-related medical problems or a family history of such problems can benefit from weight loss. Some weight-related health problems include diabetes, heart disease, high blood pressure, high cholesterol levels, or high blood sugar levels. Even a small weight loss of 10 to 20 pounds can improve your health by lowering your blood pressure and cholesterol levels. Your body weight is controlled by the number of calories you eat and the number of calories you use each day. 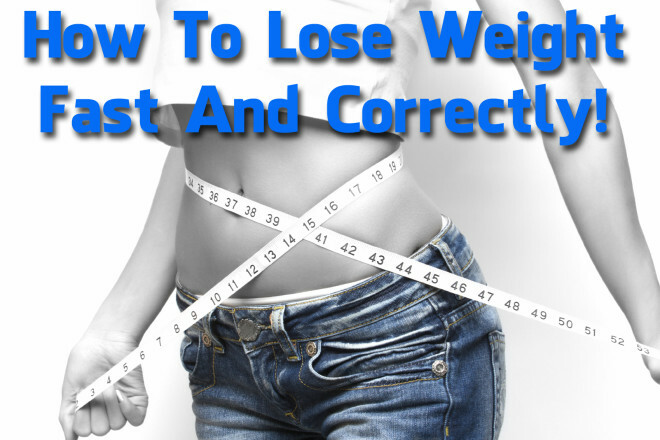 So, to lose weight you need to take in fewer calories than you use. You can do this by becoming more physically active or by eating less. Following a weight loss program that helps you to become more physically active and decrease the amount of calories that you eat is most likely to lead to successful weight loss. A weight loss program should also help you keep the weight off by making changes in your physical activity and eating habits that you will be able to follow for the rest of your life. To lose weight and keep it off, you should follow a weight loss program that will work for you. Three types of weight loss programs commonly used include: do-it-yourself, clinical and non-clinical programs. Any efforts to lose weight by you or with a group of like-minded others through support groups, work-site or community-based programs fits in the "do-it-yourself" category. Individuals using a do-it-yourself program rely on their own judgment, group support, and products such as diet books for advice. Clinical program may or may not be commercially owned. Services are provided in a health-care setting such as a hospital, by licensed health professionals such as physicians, nurses, dietitians, and/or psychologists. In some clinical programs, a health professional works alone; in others, services are provided by a group of health professionals. This program may offer services such as nutrition education, medical care, behavior change therapy, and physical activity. Non-clinical programs may or may not be commercially operated, such as through a privately-owned weight loss chain. They often use books and pamphlets that are prepared by health-care providers. These programs use counselors (who usually are not health-care providers and may or may not have training) to provide services to you. Some programs require participants to use the program's food or supplements. Other weight loss methods used to treat severely overweight patients include low-calorie diets, prescription weight loss drugs and surgery. If you are considering a weight loss program and you have medical problems, or if you are severely overweight, programs run by trained health professionals may be best for you. These professionals are more likely to monitor you for possible side effects of weight loss and to talk to your doctor when necessary. The key to successful weight loss is making changes in your eating and physical activity habits that you will be able to maintain for the rest of your life. The first step is to look at your eating and physical activity habits, thus uncovering behaviors such as television watching, that lead you to overeat or be inactive. Next you'll need to learn how to change those behaviors. The onion is a biennial herb, usually grown as an annual. All parts of onion produce a strong odor when crushed. It has a superficial root system, a very short flattened stem at the base which increases in diameter as it grows. Leaves are long, linear and hollow. A bulb is formed by the thickening of the leaf base when the plant reaches a critical stage. The fruit is a spherical capsule. Onion is one of the oldest cultivated herbs. It was a popular food in ancient Egypt depicted on tombs as early as 3200 B. C. The Sanskrit word for onion is pal and which has been mentioned in the Garuda Purana. The great Indian sage, Maharishi Atreya and Lord Dhanwantri have described the use of onions in great detail. Onion is believed to have originated in Central Asia, possibly in the Iran-Pakistan region. It has been cultivated since ancient times in the Middle East and India. Its areas of cultivation include India, Malaysia, Indonesia, Burma, the Philippines, china, Egypt, West and East Africa, tropical South and Central America and the Caribbean. Onion has been used as an herbal remedy from time immemorial. The physicians of ancient Egypt prescribed onions in various diseases. Dioscorides in the first century A. D. attributed many herbal remedies to them. In 1835, the onion and milk diet was advocated for dropsy. In 1912, a French Physician Dr. Dalache published a comprehensive article on onion cure. It is high in food value, moderate in protein content and rich in calcium and riboflavin, There is considerable variation in the composition between different varieties, it also varies with the stage of maturity and the length of storage. Matured onions approximately contain moisture 86.6 percent, protein 1.2 percent, fat 0.1 percent, fiber 0.6 percent, minerals 0.4 percent and carbohydrate 11.1 percent, per 100 grams of edible portion. The carbohydrate is principally in the form of sugars. Its mineral and vitamin contents are calcium, phosphorus, iron, carotene, thiamine, riboflavin, niacin and vitamin C. Its calorific value is 51. Onions contain an essential oil and organic sulphides. The scales of onion contain catechol and protocatechuic acid. 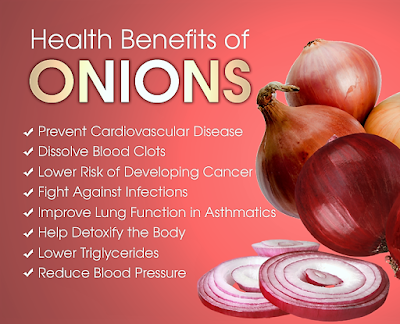 The odor in onion is due to organic sulfur compounds and is produced only when the tissues are cut or injured by enzyme action on a water-soluble amino acid. Heat or freeze-drying prevents the enzyme action so that cooking produces a different odor, flavor, and pungency. Onions have great therapeutic value. They are stimulants and a mild counter-irritant. They have diuretic properties and promote the removal of catarrhal matter and phlegm from the bronchial tubes. Onion has the property to liquefy phlegm and prevent its recurrence. It has been used as an herbal remedy for centuries in colds, coughs, bronchitis and influenza. Three to four teaspoons of onion juice and honey, mixed in equal proportion can be taken daily for treatment of these conditions. It is one of the safest preventive medicines against the common cold during winter. Though it has been known for many years that onion possessed some germicidal properties, recently two Italian doctor E. Cuboin and C. Moriandi found that the injection of its juice prevented the development of tuberculosis in animals in whom germs of tuberculosis were injected. Patients with tuberculosis have improved following adequate consumption of onions. Onions are noted for their easily assimilable iron content. They are, therefore, beneficial in treating anemia. Recent researchers in the West have established onion as all effective preventive edible against heart-attack This benefit is due to the presence of its essential oil, aliypropyl disulfide, catechol, protocatechuic acid, Thi propione aldehyde, thiocyanate, minerals, and vitamins. 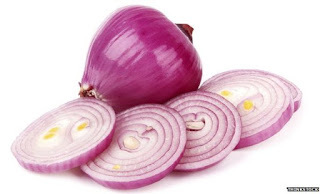 Dr. N. Radhakrishnan, Principal of the Trivandrum Medial College, and Dr. K. Madhawm Kutty has established, after seven years of research, that to get rid of the disorders due to coronary disease or blood pressure, one should take 100 grams of onion per day. It assists the functioning of the heart by correcting thrombosis besides. Reducing blood cholesterol. Onion is an effective remedy for cholera. About 30 gram of onion and seven black peppers can be finely pounded and given to the patient. It allays thirst, restlessness and also lessens vomiting and diarrhea immediately. The addition of a little sugar to the recipe will increase its effectiveness. Onions are highly beneficial in the treatment of the disorders of the urinary system. For burning sensation while passing urine, 6 grams 96 onion should be boiled in 509 grams of water. When the water is reduced to half, it should be cooled, strained and given to the patient. This relieves the burning sensation. Onion grated with water on a stone slab and mixed with 60 grams of sugar, is effective in treating retention of urine it brings about free urination within a short time. Onions are very effective in bleeding piles. About 30 grams of onions should be finely ground on a slab with water and 60 grams of sugar added to it. Taken twice daily this brings relief within a few days. 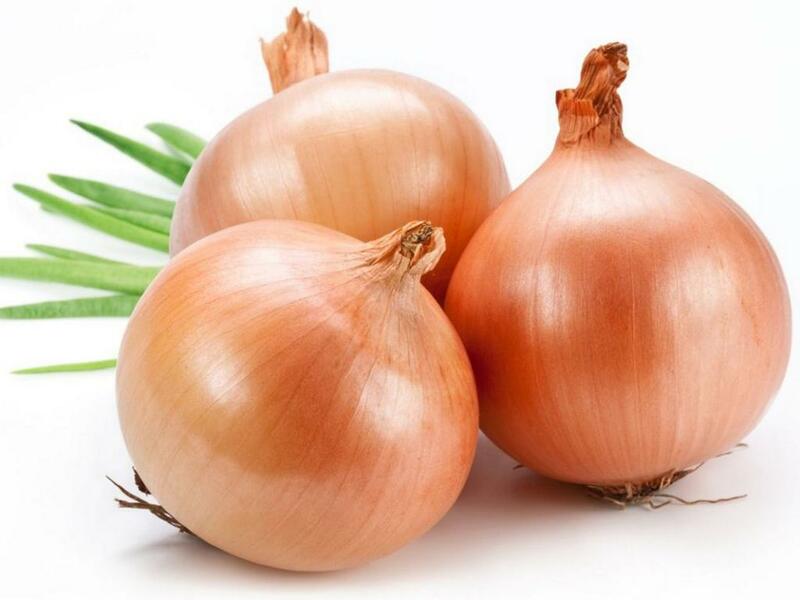 The latest research by Russian doctors has confirmed the bactericidal properties of onion. According to these findings, a person consuming at least one raw onion every day after thorough mastication is protected from a host of teeth disorders. Chewing raw onion for 3 minutes is sufficient to kill all germs in the mouth. A toothache is often alleviated by placing a small piece of onion on the affected tooth or gum. Onion is irritating to the skin and stimulates the circulation of blood in the mucous membranes. Warts sometimes disappear when rubbed with cut onions. Cotton wool dipped in onion juice and put into the ear is a popular Russian remedy for noises in the ears. Heated juice dropped in the ear relieves an earache. White onion is preferable to the red and yellow varieties. Onions should be taken with meals preferably raw, as fried or cooked onions are comparatively difficult to digest. For therapeutic purposes, it is advisable to use onion juice instead of the whole onion. It's being a stimulating and irritating food, one should avoid excess consumption. Onion is one of the most important aphrodisiac foods, second only to garlic. It increases libido and lengthens the reproductory organs. The white variety of onion should be peeled off, crushed and fried in pure butter. This mixture acts as an excellent aphrodisiac tonic if taken regularly with a spoon of honey on an empty stomach. The immature and mature bulbs are either eaten raw or cooked. They are used in soups and sauces and for seasoning many foods. Small white leaf bases --before the bulbs are formed -are eaten raw, by themselves or in salads. Cassia or purging cassia is one of the most beautiful trees of India. It is a small to medium-sized tree with compound leaves and large, shining, dark green leaflets. It has bright yellow flowers in very large, hanging branches and black or shining dark brown, 50 to 60 cm long almost cylindrical fruits. The tree is also known as Indian Laburnum owing to its resemblance in color and profusion of flowers with the European Laburnum. The trade name is based on its scientific name but the specific name fistula, which means a shepherd's pipe, refers to the shape of its fruit. The cassia tree is indigenous to India. It is very decorative and is found throughout India up to an altitude of about 1500 meters. It. Is more common in moist or evergreen forests. The leaves of the tree contain anthraquinone derivatives and very little tannin. The root bark, besides tannin, contains phlobaphenes and oxy-anthraquinone substance; the pulp contains rhein, the major anthraquinone derivative, a small amount of volatile oil, three waxy substances, and a resinous substance. Nearly all parts of the tree have medicinal properties. The fruits are, however, most important and are included in the Indian pharmaceutical Codex. The pulp from the fruits, called cassia pulp, is a well-known laxative and is used in the treatment of constipation. It can be safely taken even by children and expectant mothers. About 50 grams of the pulp is soaked in water overnight. It is then strained in the morning and taken with 25 grams of sugar. The pulp of cassia is a mild, pleasant and safe purgative. Approximately four grams of the pulp is taken with an equal quantity of sugar or tamarind. As a purgative, 30 to 60 grams are required, but this quantity may cause colic, nausea and flatulence. It is therefore generally used in combination with other drugs, preferably in mixture with the leaves of senna, botanically known as Cassia Angustifolia. The root of the tree is useful in common cold. In the case of running nose, smoke from the burning root can be inhaled. It encourages a copious nasal discharge and provides relief. The root of the tree is a tonic and useful in reducing fever. An alcoholic extract of the root bark is used for black water fever. For children suffering from flatulence, the cassia pulp can be applied around the navel to ensure evacuation. Mixed with linseed or almond oil, it can be massaged on the stomach for easing the bowel movements. 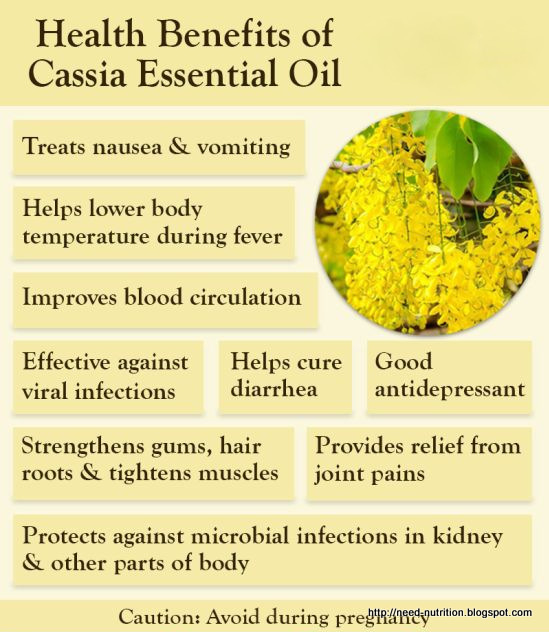 The pulp of cassia is very useful in ageusia or loss of sense of taste due to excessive use of opium or cocaine. About 24 grams of the pulp is mixed with a quarter liter of hot milk and used as a mouthwash to treat this syndrome. The leaves of the tree are useful in relieving irritation of the skin and in alleviating swellings and pains. Their juice or paste serves as a useful dressing for ringworm and inflammation of the hands or feet caused by exposure to cold. They also relieve dropsical swellings due to excessive accumulation of fluid in the body tissue. Its leaves can be rubbed beneficially on affected parts for relief from rheumatism and facial paralysis. Its flowers are at times consumed as vegetables by certain hill tribes in India. The Caraway plant is a biennial herb usually with a fleshy root and slender, branched stems. It has feather-like leaves divided into very narrow segments and small white flowers. The fruit, when ripe, splits into narrow, elongated carpets, which are curved. pointed at the ends and have four longitudinal ridges on the surface. The dried fruits or seeds, brown in color, are hard and sharp to touch. They have a pleasant odor, aromatic flavor, somewhat sharp taste and leave a somewhat warm feeling in the mouth. 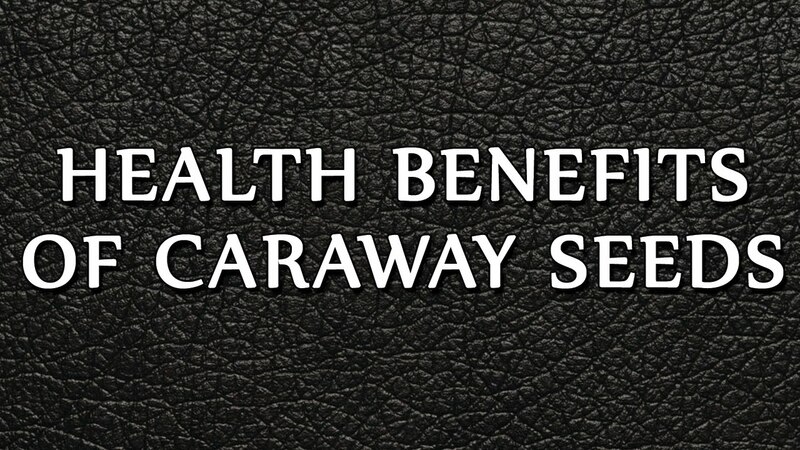 Caraway's qualities were recognized by the ancient Egyptians, Greeks and Romans. The herb was widely used in the Middle Ages. It has been used for centuries in breads and cakes, and with baked fruit, especially roasted apples. Because caraway was said to prevent lovers from straying, it was once an essential ingredient in love potions. The seeds of Caraway were prescribed for bringing bloom to the cheeks of pale-faced young maidens. The caraway seed is native to north and central Europe and West Asia. In India, it grows wild in the north Himalayan region. The herb is cultivated as a winter crop on the plains and summer one in Kashmir, Kumaon, Garhwal and Chamba at altitudes of 2, 740 to 3, 660 meters. An analysis of caraway seeds shows it to contain appreciable moisture, protein, fat, substantial amount of carbohydrates besides ash, calcium, phosphorus, sodium, potassium, iron, thiamine, riboflavin and niacin. It also contains vitamins C and A. Its calorific value is 465 per 100 gram. A valuable essential oil, containing substantial amounts of carvone, is obtained from caraway seeds. This oil is colorless or pale yellow with a strong odor and flavor of the fruit. The volatile oil contains a mixture of ketone, carvone, a terpene and traces of carvacrol. The caraway seeds, leaves and roots are considered useful in activating the glands, besides increasing the action of the kidneys. It is characterized as an excellent house cleaner'for the body. Caraway oil is used in medicine to relieve flatulence. It is also used to correct the nauseating and griping effects of some medicines. 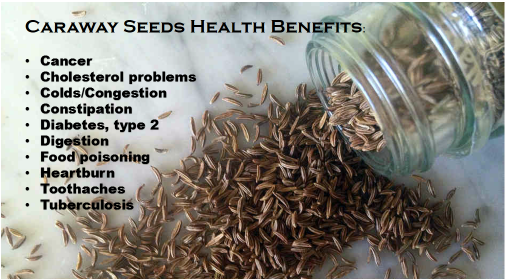 Caraway seeds are useful in strengthening the functions of stomach. They relieve flatulence and are useful in flatulent colic, countering any possible adverse effects of medicines. However, the volatile oil of the seeds is employed more often than the seeds. For flatulence, a cup of tea made'from caraway seeds taken thrice a day, after meals, will give relief. This tea is prepared by adding a teaspoon of caraway seeds in 1.5 to 2 liters of boiling water and allowing it to simmer on a slow fire for 15 minutes. It is then strained and sipped hot or warm. Canrone, isolated from caraway oil, is used as anthelmintic, especially in removing hookworms from the intestines. beneficial in the treatment of scabies. The solution should be taken orally. Caraway seed oil is used orally in overcoming bad breath or insipid taste. The bael is a large tree, 8 to 10 metres in height. It has a big stout trunk, unusual branches with long, straight outgrowth, aromatic leaves, sweet scented and greenish-white flowers. The fruit is woody and smooth, 5 to 15 cm in diameter. It has numerous seeds which are densely covered with fibrous hair and are embedded in a thick aromatic pulp. The flesh is eaten fresh or dried. Bael tree is held sacred by the Hindus. The history of this tree has been traced to the Vedic period (2000 B.C.- 800 B.C.). 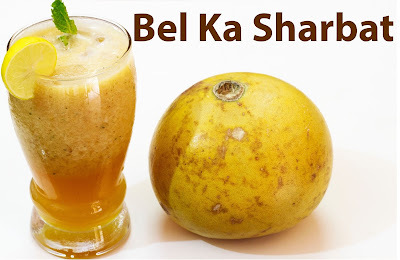 The mention of bael fruit has been made in Yajurveda. The bael tree has great mythological significance and abounds in the vicinity of temples. The leaves of the tree are traditionally used as a sacred offering to Lord Shiva, the God of health. Lord Shiva is believed to live under the bael tree. The bael tree is indigenous to India and is grown throughout the subcontinent as well as most countries of South-east Asia. An analysis of the bael fruit shows that it consists of moisture 61. 5 per cent, protein 1.8 per cent, fat 0.3 per cent, minerals 1.7 percent, fibre 2.9 percent and carbohydrates 31.8 Percent per 100 grams of edible portion. Its mineral and vitamin contents include calcium, phosphorus, iron, carotene, thiamin, riboflavin, niacin and vitamin C. Its calorific value is 137. Several chemical constituents have been isolated and identified from various parts of the bael tree. These inlcude alkaloids, coumarins and steroids. The leaves contain skimianine, marmorosin, which is identical to imperatorin. Other coumarins contained in the fruits are altoimperatorin and B sitosterol. Roots of the tree have been found to contain psoralin, xanthotoxin, scopoletin and tembamide. The bael tree is one of the most useful medicinal plants of India. Its medicinal properties have been described in the ancient medical treatise in Sanskrit, Charaka Samhita. All parts of this tree-stem, bark, root, leaves and fruit at all stages of maturity -have medicinal virtues and have been used as medicine for a long time. The fruit's medicinal value is very high when it just begins to ripen. The fruit is aromatic, cooling and laxative. It arrests secretion or bleeding. The unripe or half-ripe fruit is good for digestion. It is useful in preventing or curing scurvy. It also strengthens the stomach and promotes its action. Ripe bael fruit is regarded as best of all laxatives. It deans and tones up the intestines. It's rehular use for 2 or 3 months throws out even the old accumulated faecal matter. For best results, it should be taken in the form of sherbet, which is prepared from the pulp of the ripe fruit. After breaking the shell, the seeds are removed, with the contents spooned out and sieved. Milk and sugar are added to make it more palatable. The pulp of the rip fruit can also be taken without the addition of milk or sugar· About 70 grams of the fruit will suffice for an adult. The unripe or haf-ripe fruit is perhaps the most eftective remedy for chronic diarrhoea and dysentery where there is no fever. Best results are obtained by the use of dried bael or its powder. The bael fruit when it is still green, is sliced and dried in the sun. The dried bael slices are powdered and preserved in airtight mes. The unripe bael can also be baked and used with jaggery or brown sugar. An infusion of bael leaves is regarded as an effective remedy for peptic ulcer. The leaves are soaked overnight in water. This water is strained and taken in the morning, The pain and discomfort are relieved when this treatment is continued for a few weeks. Bael leaves are rich in tannin which reduces inflammation and help in the healing of ulcers. 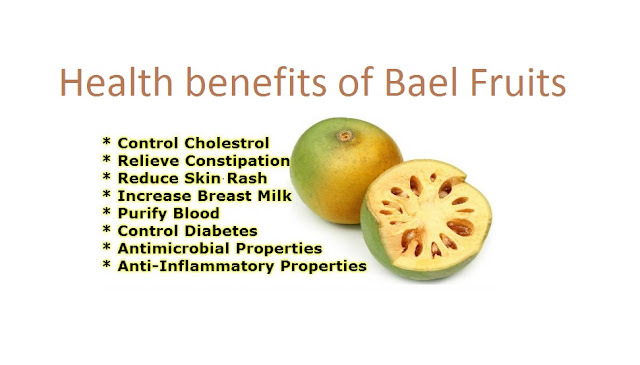 Bael fruit taken in the form of a beverage also has great healing properties on account of its mucilage content. This forms a coating on the stomach mucosa and thus helps heal ulcers. The root of this tree is used as a home remedy for curing ear problems. A stiff piece of the root is dipped in neem oil and lighted. The oil that drips from the burning end is a highly effective medicine for ear problems. The antiseptic proprties of neem combined with the astringent extract of bael root helps in curing infection, chronic innammation and discharge. A medicated oil prepared froom bael leaves gives relief from recurrent colds and resperatory affections. The juice extracted from bael leaves is mixed with equal quantity of ginge1ly or and half a teaspoon of black cummin are added to the heated oil. It is then removed from the fire and stored for use when necessary. A teaspoon of this oil should be massaged into the scalp before a head bath. Its regular use builds up resistance to cold and coughs. The ripe fruit should not be taken regularly at a stretch. wnen used without a brcnL it produces atony of the intestines or lack of Trormal elasticity and consequent natulence at a time, as excessive intake may produce a sensation of The sfierbet made of bael must not be very thin. It should be viscous so that it can be thoroughly chewed.. It may produce heaviness in the stomach, if taken hurriedly.